Reports on the inquest into the death – by hanging – of Simone Jabakhanji, 27, bring together two issues that are important to me: male violence against women and infertility. Simone’s death has been covered in the mainstream British press including the Daily Mail, The Telegraph, The Sun and The Independent. She was from Lancashire but living in Gambia in August 2011 when she died. The Independent, The Sun and The Telegraph describe Simone as a bride, the Mail as a newlywed bride. Actually she wasn’t, she was a woman. A woman who had been married to a man for a year and a half at the time of her death. A woman who was a human being worthy of acknowledgement in her own right regardless of her marital status, a woman who does not need to be defined by virtue of her relationship to a man, or indeed any other person. The Sun refers to Simone as “Row wife” in the title of its piece on her, the Mail refers to her “tempestuous relationship” with husband Mohammed Jabakhanji and the Independent describes how Mrs Jabakhanji had been rowing with her husband ( thus positioning her as the active subject, the instigator and him the passive object, the receiver) . Most reports also cover that Janice Lally, mother of Simone Jabakhanji, told the inquest that her daughter was frightened of Mohammed Jabakhanji, that she had to give him quiet space for days when he got angry, that this quiet space was preferable to him breaking her legs. 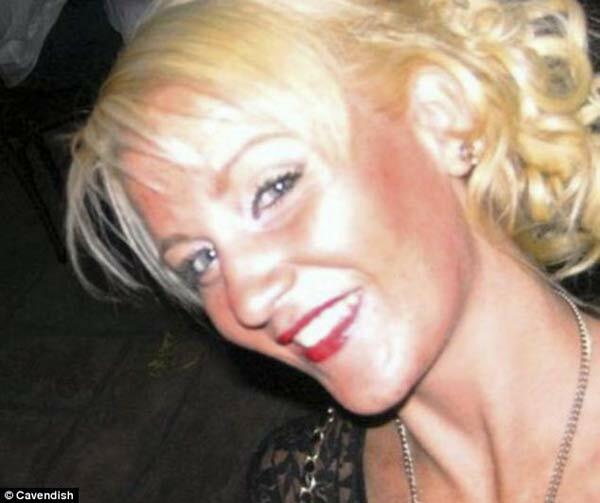 Close friend of Simone, Abigail Stone told the inquest that she had spoken with her friend on the day of her death and had advised her to return to England. Not one of the sources above used the phrase “domestic violence”, not one of them referred to Simone’s death in the context of “male violence against women and girls”. The titles of three of the four pieces manage to tell us that Mohammed Jabakhanji was African and place Simone Jabakhanji’s death in the context of her husband’s infertility. The Sun, winning a rare prize for relative diplomacy, waits until the first paragraph of its piece before raising the issues of either race or infertility. Positioning Simone’s death in relation to her husband’s infertility further removes Mohammed Jabakhanji from the role of abusive perpetrator and closer to that of victim, victim of infertility. The Mail doesn’t quite let him off the hook, telling us that his infertility was a result of his unhealthy lifestyle, his smoking cannabis and drinking. Mohammed Jabakhanji may well have been infertile, but I know of no fertility test that has the ability to identify the cause of infertility as alcohol or smoking. There is a correlation between heavy drinking and smoking and reduced fertility, but correlation is not causality. It is worth considering too, that there would probably be far fewer babies born if the relationship were quite so straightforward. “But we can’t be certain what she did was done with the intention of ending her life. That would be at odds with the conversations she had with family and friends. Similarly there is no evidence to suggest anyone else was involved.” Simone’s body had been embalmed without an autopsy in Gambia before being repatriated to the UK. An open verdict was recorded in relation to her death. Several small studies have demonstrated a link between infertility in women and psychological distress, reporting high rates of anxiety, depression and suicide. There is less research into the impact of male partner infertility on women’s mental health. It is possible that if Simone Jabakhanji killed herself, her husband’s infertility was a factor, possibly even a crucial one in her decision. However, research from the Women and Equality Unit, has shown a clear relationship between domestic violence and suicide in women victims: every year in the UK, 500 women who have experienced domestic violence in the last six months, commit suicide. Despite each of the four articles managing to link Simone’s death to Mohammed’s infertility, not one of them positioned it in relation to domestic violence, into his coercive, controlling and frightening aggression. Another woman dead, reduced to her status in relation to a man; another man’s violence minimised and overlooked.